Update 6 is a rather unique update in that it includes no bug fixes. What Update 6 does include is a new and more efficient way of delivering bug fixes. A new “Update software…” menu item on Workbench now launches AmiUpdate which will now handle all future AmigaOS software updates. 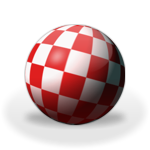 Since AmiUpdate does not do much without a back end database, a new AmigaOS update database has been created. This database tracks dependencies between components so that users can be assured they are applying the correct updates to their specific systems. The rollback facility may be used to undo updates in the event of problems. Users are strongly encouraged to install Update 6 as it will be the only way to receive future AmigaOS updates between major releases. Special thanks to Simon Archer for his amazing AmiUpdate product and the AmigaOS testing team for their invaluable effort on this release.